AN EASY TO USE ROOM DATA APPLICATION THAT HELPS YOU MANAGE THE FINISHES, FIXTURES AND ENVIRONMENTAL SPECIFICATIONS IN YOUR BUILDING PROJECT. Define room data for any sized project in an organised and structured environment. Enrich BIM models with better FFE information. Enrich room data with as-installed information captured from the field. Put room data to work on-site through our eRDS Field application. Monitor fit-out progress through RDS checklists. Populate facilities management software applications with better information. Our two core products eRDS Cloud and eRDS Field provide everything you need for defining and managing room data. Our solutions are designed for all project stages from the design phase through construction fit-out, and onward into facilities management. Define your room data in an organised environment with structured workflows. 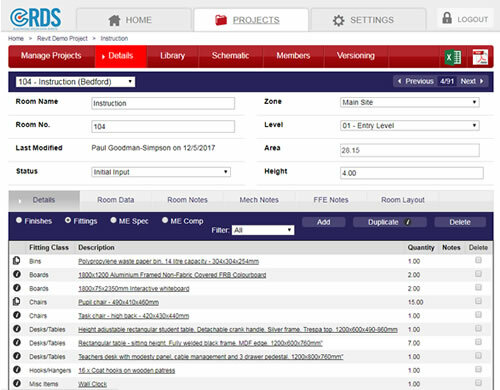 eRDS Cloud is fully integrated with architectural & MEP BIM models. Put your room data to work on-site in a mobile checklist application loaded with all room information including finishes, fittings, mechanical spec’s and components. We provide all the plugins necessary for integrating BIM and room data. Extract room information from Revit to populate eRDS Cloud, and then populate Revit with eRDS room data. Identify maintainable assets from Revit Architectural & MEP models to populate the eRDS rooms database. Identify maintainable assets from IFC architectural & MEP models to populate the eRDS rooms database. Access eRDS Cloud from any computer device that has an internet connection and web browser. eRDS is designed by professionals with years of room data experience. That knowledge has been translated into a structured approach for creating room data, with the simplest and intuitive user interface possible. eRDS Cloud & Field are fully integrated with Revit and IFC BIM models. You wont need extended training courses to achieve this because our processes can be accomplished in just a few clicks. eRDS Field is a completely unique solution for checking off room data requirements in the field. 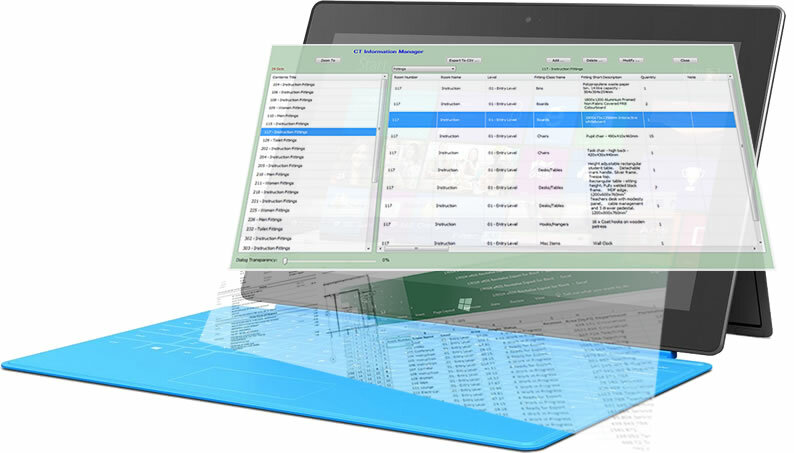 No other room data software provider offers similar functionality. eRDS Cloud is a window into a buildings room database. As a multi-user system, it allows a wide range of professions to access room data in the knowledge that it’s the latest information. Efficient collaboration is possible when the latest information is held in a single location. Our online software allows the project team to share information and take decisions with the certainty that everyone is working from the same data set. eRDS provides an excellent return on investment at a price your project can afford. Our pricing is the most competitive on the market for this type of software. We price by the user and not by the size of your building project, so scaling up to meet your workload is easily accomplished. Add additional users for short-term projects or to give stakeholders and owners access to their building information. You can use eRDS on as many projects as you wish without any additional cost. There is no practical limitation on the amount of data or size of building so you can use it on any sized project from a single residential dwelling through to large construction redevelopments.